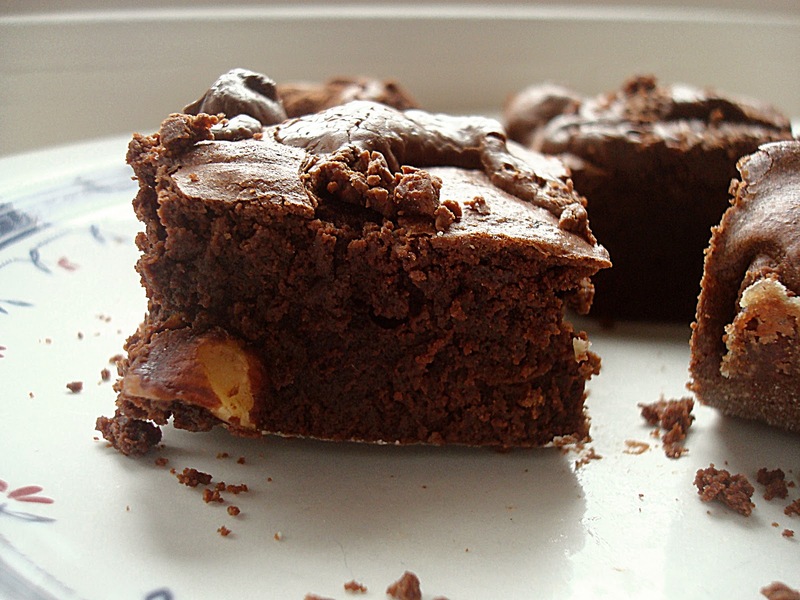 When it comes to brownies, everyone has a very specific idea of what the perfect one should be like. Apparently there are three schools of thought – the cakey, the fudgy and the chewy. I ignore the first one as nonsense, and usually find the second one a bit too rich for my liking. And nuts or no nuts? Too much choice. But as a lover of Nutella, I wanted to top these with a drizzle of the good stuff, and figured some hazelnuts would compliment it well. “The Boyfriend” moaned. Preheat the oven to 180 degrees C (or 170 for fan assisted) and lightly butter and flour a tray. I used a square one, about 20cm each side. Melt the butter and chocolate in a pot over low heat. Let it cool slightly and add the sugar and vanilla. Add the eggs, one at a time, whisking until they are incorporated. Add the flour and cocoa, mix for a minute or two using a spatula or spoon and, finally, mix in the nuts. Empty the mix into the prepared tray and drizzle/pour Nutella over the top. I warmed up the Nutella slightly by placing it on the radiator for a few minutes. Alternatively, you could spoon out little blobs of it and randomly throw them on top of the mix. You get the idea. Bake for 35-45 minutes. You can test after half an hour by inserting a knife; it shouldn’t be completely clean but have a few small crumbs on it. Cooking times will depend on type and size of tray used and every oven works differently so keep an eye on it – you don’t want to overcook them. 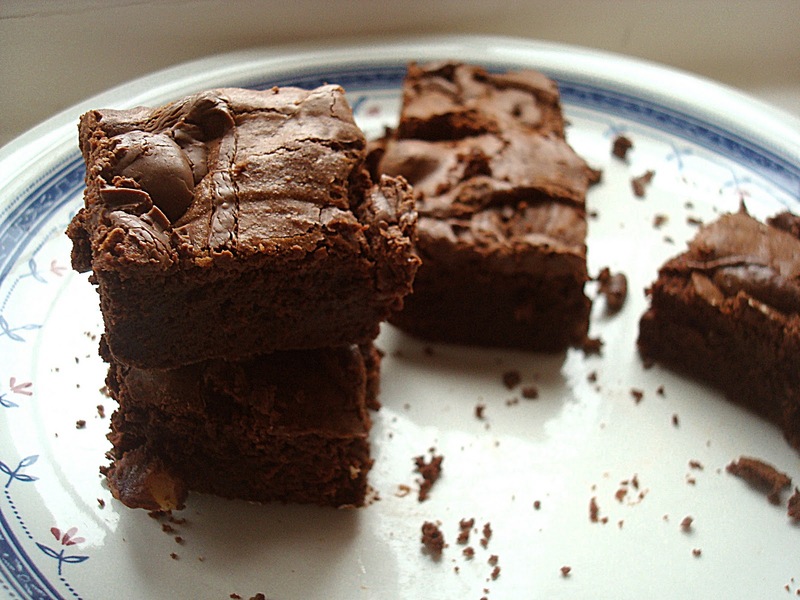 So it turns out that these ended up being somewhere between chewy and fudgy – I might have slightly undercooked them but we did enjoy the texture a lot. The best of both worlds. I loved the hazelnuts and the Nutella topping. I’m making these again tonight and I have a feeling this will be my staple recipe from now on.